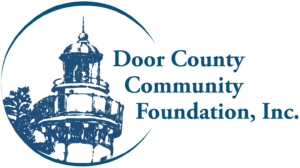 The Door County Community Foundation is offering an opportunity for a motivated college student (or high school student that will be a senior this Fall) to learn more about the philanthropic world by working as our Summer Intern. It’s ideal for anyone interested in pursuing a career in non-profit organizations, human services, or government. This internship opportunity is designed to provide the young person an invaluable educational experience while still performing real work tasks for the Community Foundation. Consider the hypothetical example of John and Jane Smith. The Smiths have done well in life and typically donate $10,000 each year to the charities they love, including John’s alma mater in Illinois, their church in Florida, and several small charities Jane loves here in Door County. On their 2017 tax return, the Smiths claimed itemized deductions of $23,000. They deducted $6,000 in mortgage interest, $7,000 in state and property taxes, and $10,000 in charitable gifts. Unfortunately in 2018, under the new tax law, the higher standard deduction of $24,000 means the Smiths will no longer be able to itemize their deductions. Hence, they are not entitled to any tax deduction for the $10,000 they contribute to charity every year. For a couple like the Smiths, bunching several years of charitable gifts into a single year through the Door County Community Foundation is the perfect tax planning tool. They can combine multiple years of charitable donations into this tax year to exceed the standard deduction. So the Smiths visit the Door County Community Foundation and create the John and Jane Smith Donor Advised Fund. After conferring with their advisors, the Smiths decide to bunch five years of future charitable gifts into this tax year and thus contribute $50,000 into their Donor Advised Fund today. As a result, the Smiths claim $63,000 in itemized deductions on their 2018 tax return. It’s the same $6,000 in mortgage interest and $7,000 in state and property taxes, but it now includes a single $50,000 gift to their Donor Advised Fund. Then the Smiths use their Donor Advised Fund to pay out $10,000 in contributions every year over the next five years, including to John’s alma mater in Illinois, their church in Florida, and several small charities Jane loves here in Door County. If the Smiths prefer, the money in their Donor Advised Fund can even be invested during those five years so they’ll have even more money to give away to charity. Regardless, neither the distributions from their Donor Advised Fund, nor any earning on it, have any tax implications for the Smiths. They claimed their $63,000 in itemized deductions in 2018. In the following four tax years of 2019 to 2022, the Smiths then claim the standard deduction on their tax return. 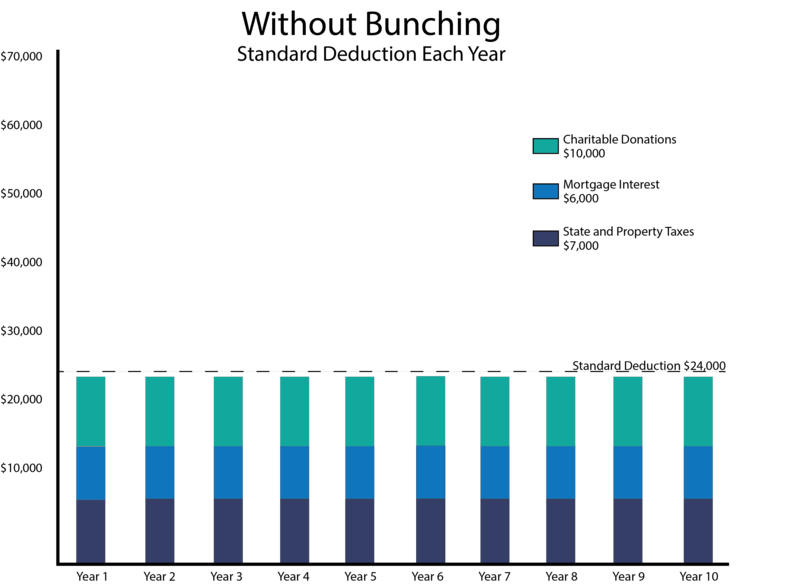 Finally, in 2023, the Smiths might decide to do it all over again and replenish their Donor Advised Fund by bunching the next five years of contributions into 2023, thereby repeating the cycle. This simple tax strategy gives the Smiths an additional $78,000 in tax deductions over 10 years. The savings can be magnified if their gift is made with highly appreciated stock. In that case, they’d also avoid the capital gains taxes. Bunching charitable gifts through a Donor Advised Fund at the Door County Community Foundation is an incredibly powerful tax planning tool for generous families. Donor Advised Funds are convenient, flexible tools for those who want to be personally involved in suggesting grant awards made possible by their gifts. 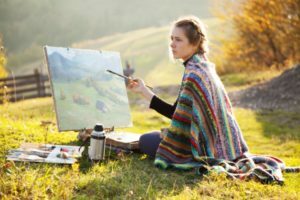 If you have a range of community interests, you may find that it’s an ideal vehicle for fulfilling your charitable wishes. 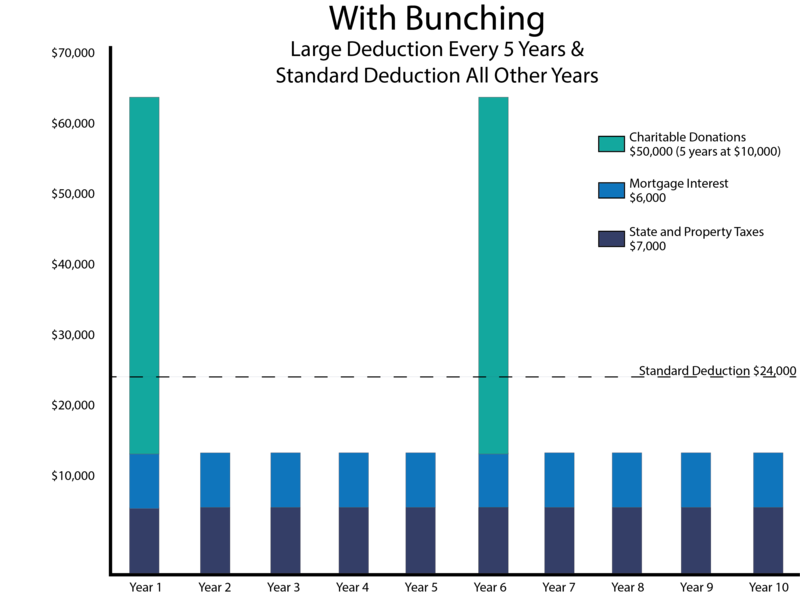 Donor Advised Funds are typically less costly and easier to administer than other forms of philanthropic giving (such as family or corporate foundations). Your gift can be combined with others to increase its impact, and you can add to the Fund you establish at any time, receiving tax benefits with each new gift. You can establish a Fund today and make grant recommendations now or in the future. And if you endow your gift, it becomes a permanent community funding resource. Talk with your professional wealth or tax advisor to determine whether bunching charitable gifts through a Donor Advised Fund might be a good tax planning tool for your unique situation. 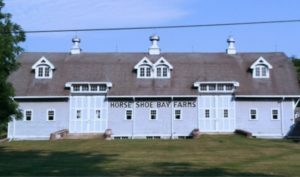 Donate to Horseshoe Bay Farms, Inc.
Make the gift of a multi-year pledge so that this iconic part of our heritage will be enjoyed in Door County for generations to come. Click here to download and fill out the pledge form. At every step of this project, Horseshoe Bay Farms, Inc. has partnered with organizations to minimize our administrative and operating costs. Our goal is to maximize the money we can dedicate directly to our preservation and educational activities. 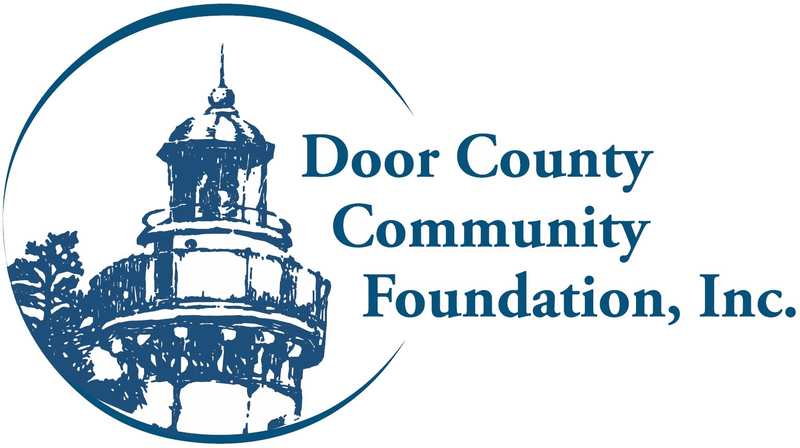 The Board of Directors of the Door County Community Foundation, Inc. unanimously agreed to embrace our project and place it under its corporate umbrella. 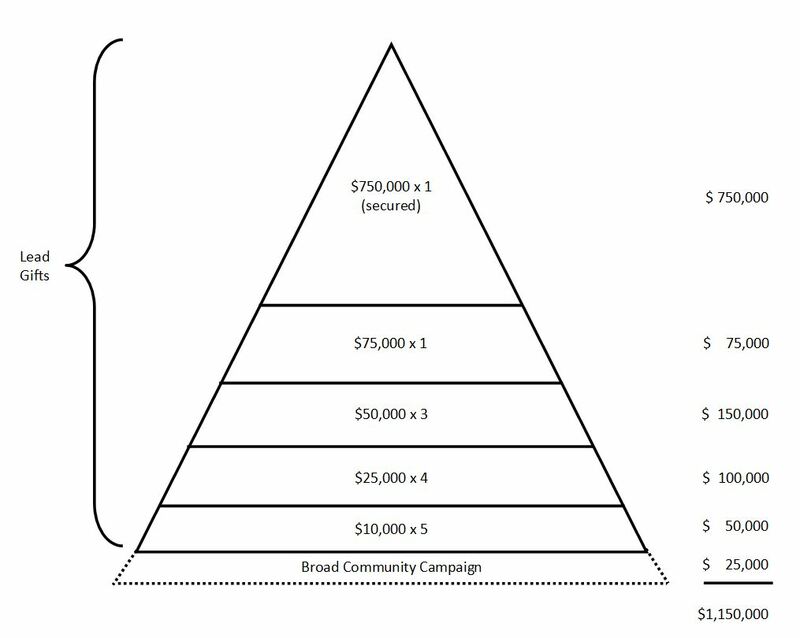 The Community Foundation has generously offered to administer the campaign to raise the funds. In practical terms, this means that Horseshoe Bay Farms, Inc. does not have to hire any staff of its own until our campus is closer to opening its doors. Horseshoe Bay Farms, Inc. will be a fully independent 501(c)(3) public charity, but during the campaign and development stages, we will operate as a component fund of the Door County Community Foundation, Inc.
All contributions will be held by the Community Foundation and restricted solely for use by Horseshoe Bay Farms, Inc. For more information, or to discuss a gift of stock or other appreciated assets, contact the Community Foundation at (920) 746-1786. The Horseshoe Bay Farms Preservation Fund is a component fund of the Door County Community Foundation, Inc., a 501(c)(3) public charity. Hence, all contributions are deductible to the fullest extent as allowed by law. What is the mission of the Horseshoe Bay Farms, Inc.
Why are you moving two of the cottages? 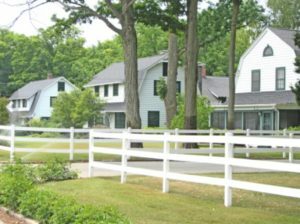 The historic cottages remain an integral part of the story of Horseshoe Bay Farms and thus we are relocating two of them from the shoreline to the main property on the bluff side of the road. Specifically, the Assistant Herdsman’s house and the Assistant Farm Managers house are robust enough to make the journey across the road. 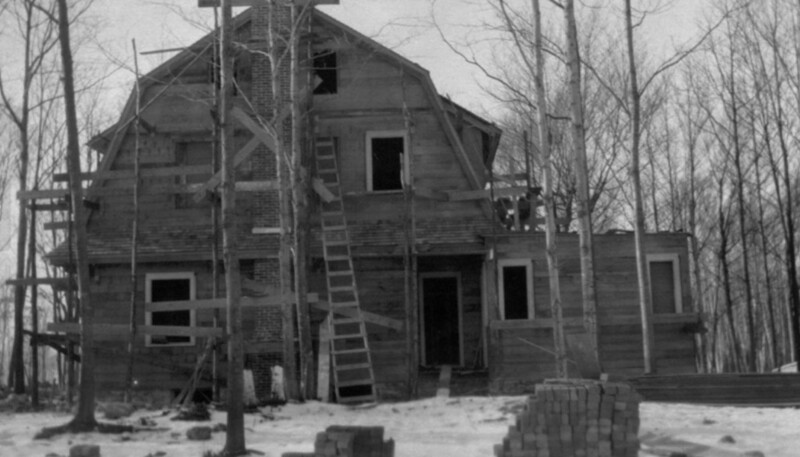 Eventually these cottages could be used to offer educational sessions, house guest educators and speakers, and otherwise remind us of the stories of Door County’s past. How will I be able to access the Farms? Once the restoration is complete, the volunteer Board of Directors of Horseshoe Bay Farms, Inc. will work on plans to provide safe public access to the property. In addition, the Farms will be made available for community use by various organized groups such as the Door County Visitor Bureau, historical societies, and other civic groups. Our first and most urgent priority is to secure the remaining money necessary to make this project a reality. We secured sufficient gifts to enable us to purchase the Farms in November of 2018, but much work remains to be done. Restoration efforts are planned to begin by the end of the summer of 2019 and we hope to then hold community sessions to gather input from the many donors to the project and other stakeholders in the community. Our intent is to open the Farms more broadly to the community by 2020. Historic Preservation Matters. Horseshoe Bay Farms Matters. We save historic properties because of a desire to preserve the memory of the efforts of the many people who have shaped our landscape. A concerted effort will be made to restore the Farms’ heritage as a vital link to our cultural, aesthetic, and economic legacies – the things that make us who we are. The beauty of our peninsula resonates in these structures of our past. Repository for Equipment and Local Artifacts. Our memories are the wellspring of knowledge which make us who we are and define who we aspire to be. History is our community’s collective memory. The decisions made by generations past have created the world in which we now live. Horseshoe Bay Farms will serve as a place to preserve Door County’s heritage – beginning with the buildings themselves, but also as a repository for historic tools, farming artifacts from the past, and as a place to remember the stories of farming in Door County. Educating the Next Generation. Young people need to experience learning that is rooted in what is local – the unique history, environment, and culture that define a community. 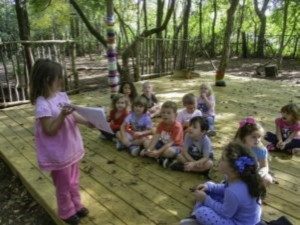 A strong sense of place creates the context through which a student can better understand issues that are regional, national, or global in nature. Children need to know from where they come before they can envision where they will go. 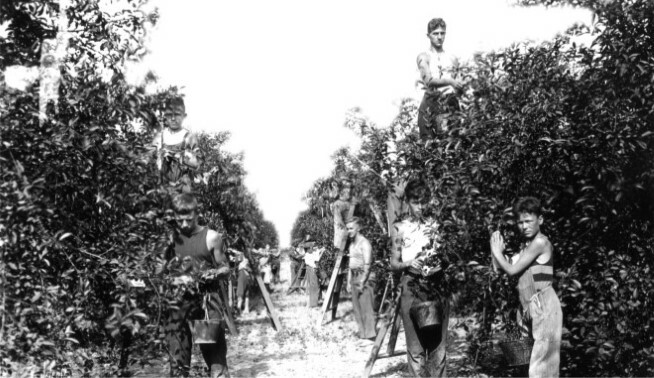 Horseshoe Bay Farms will educate students in Door County’s heritage, using our agricultural past as the basis for the study of mathematics, social studies, and science. Numerous studies demonstrate that place-based education is strongly linked to academic achievement as students become more motivated, ask better questions, and become observers of the world around them. Home for Community Events. Horseshoe Bay Farms is already a launching point for the Door County Triathlon and a regular stop for curious tourists who love to explore our rural heritage. Our campus will also become a home for countless other community events. Working in partnership with our local charities, we envision plein air painting events, community gatherings, and possibly even a new farmers market. This iconic treasure will be shared with the people of Door County as a resource for generations to come. 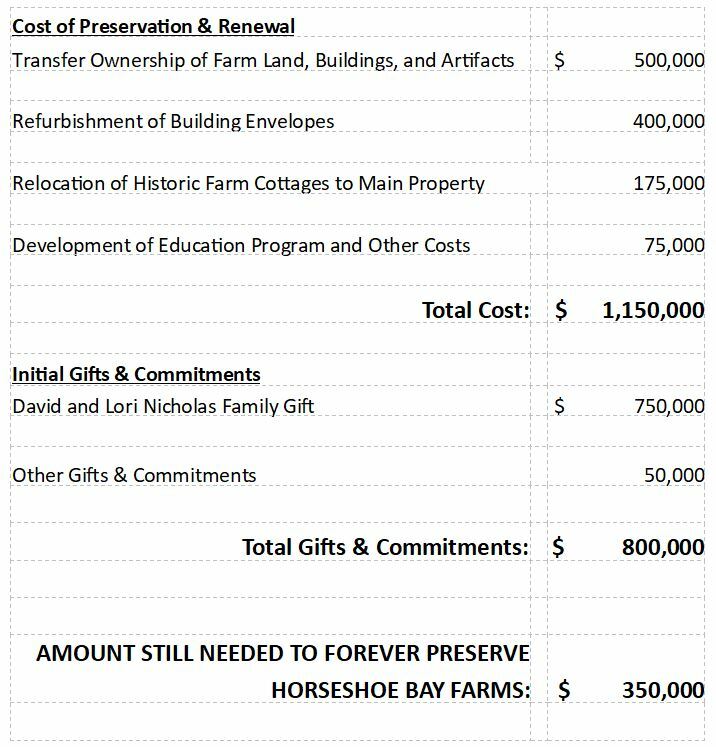 In 2018, a group of concerned citizens led by the family of David & Lori Nicholas founded a new 501(c)(3) public charity with the goal of acquiring the historic Horseshoe Bay Farms so that they aren’t forever lost to the past. We invite you to join the Nicholas family as a “Founding Family” of Horseshoe Bay Farms – because without gifts from people like you, history has taught us that these iconic structures will remain in jeopardy. Just a decade ago, the Farms were to be sold to the highest bidder and developed into condominiums. 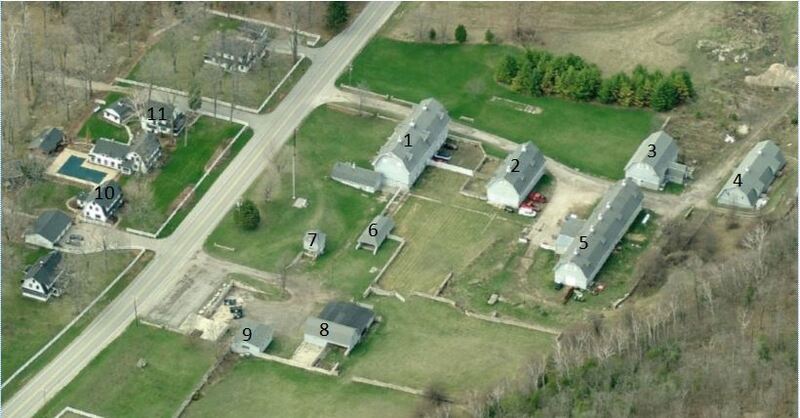 Thankfully, at the 11th hour Glenn and Barbara Timmerman stepped forward and purchased Horseshoe Bay Farms to keep them from being demolished. However none of us will live forever, thus the Timmerman’s personal stewardship is not a permanent solution to preserving the Farms. That’s why we created the new charity Horseshoe Bay Farms, Inc. The cost of acquiring and preserving the Farms is $1.15 million. That includes the purchase of the property, structures, and historic farm equipment on the bluff side of the road. It also covers the cost of relocating several of the most historic cottages from the shoreline to the main property. The remainder of the moneys would be used to restore and preserve the farm buildings themselves. Thankfully, we already have commitments of $1 million. Thanks to the Nicholas Family’s remarkably generous leadership gift of $750,000, we were able to purchase the Farms in November 2018. But we still need your help to forever preserve the Farms. We now need generous people like you to join us as a “Founding Family” and ensure that the Farms will forever be preserved. Working in partnership, several generous families, numerous community volunteers, and the Door County Community Foundation have joined forces to realize this vision. We are excited to not only preserve this important piece of Door County’s history, but assure a plan is in place that allows future generations to enjoy this iconic civic landmark. In the coming year, Horseshoe Bay Farms, Inc. will begin the interpretive planning process that will reveal the remarkable history of this space and share it with the public in the most memorable and meaningful way. Following an interpretive plan, we will embark on an exhaustive master planning process that will identify key projects, strategies, and programs that maximize the visitor experience. The master plan will serve as a guiding document for continued historic preservation and rehabilitation, environmental conservation, and public programming that will include community events and educational opportunities. But none of this will be possible without your help. 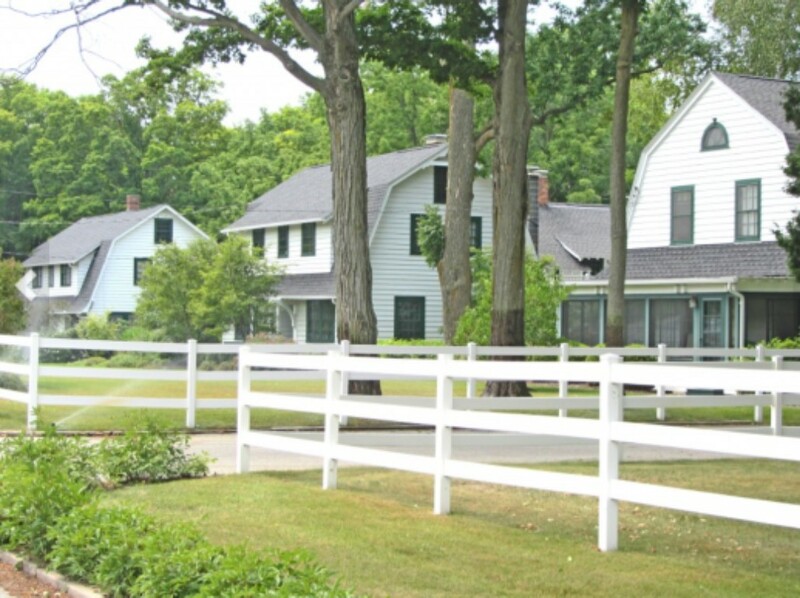 Join us as a “Founding Family” of the forever preserved Horseshoe Bay Farms. Your gift will ensure that the Farms will be protected from development and available for future generations. To learn more, call the Community Foundation at (920) 746-1786 or donate today.